This large tote bag was sewn without a pattern in the quilt as you go (QAYG) style. Sewing the bag involves first creating the patchwork front and back by stitching small pieces of fabric onto a template batting. For this purse the batting pieces were large squares. In the quilt as you go method, the fabric is pieced and quilted at the same time, working from the center out, adding fabric pieces one by one until the batting is completely covered. The resulting patchwork becomes the outer shell for the tote bag. 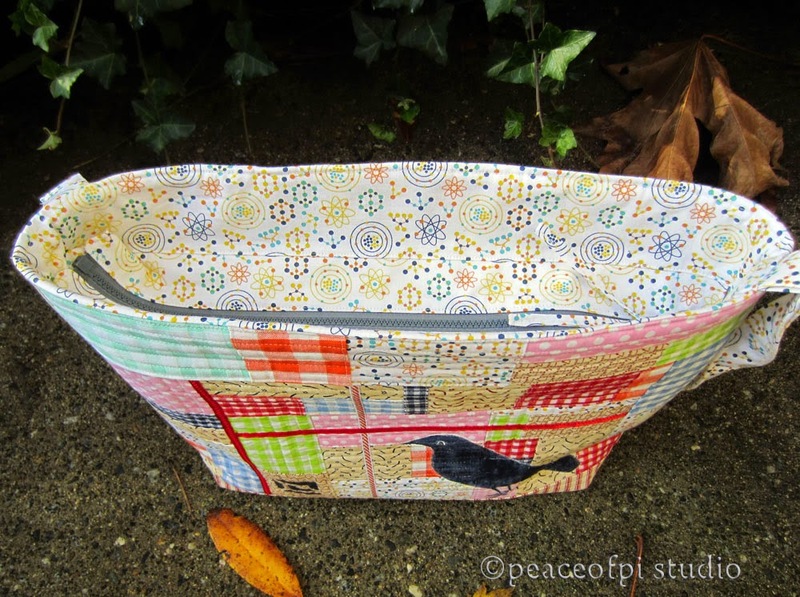 The lining of the tote has lots of colorful pockets to keep things organized and a recessed zipper was added to keep everything securely inside. 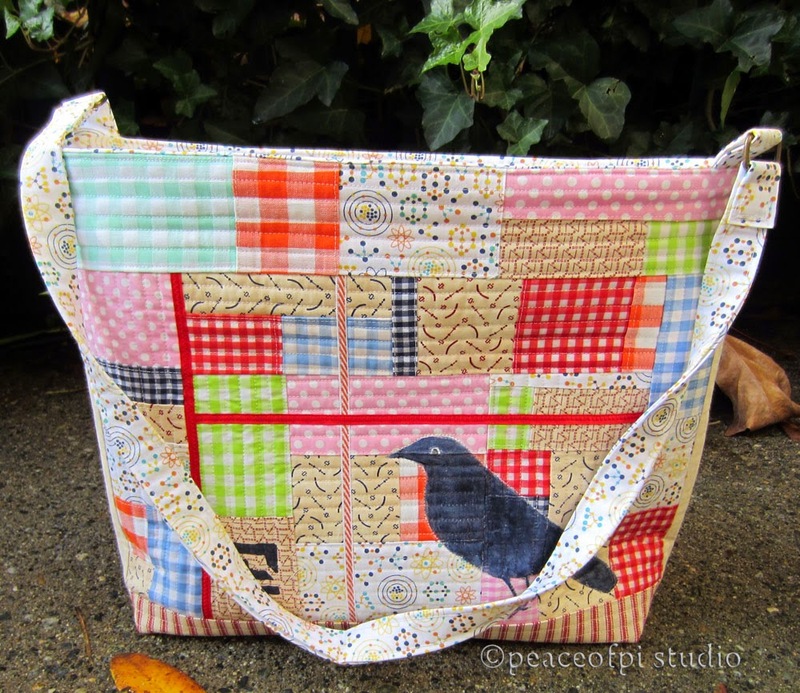 The quilt as you go method is a great way to create a one of a kind bag or purse that becomes a fun object to tote around life's essential bits and pieces.